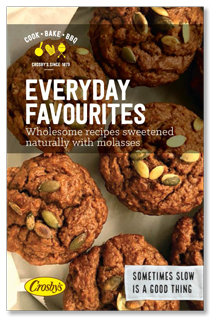 An easy-to-download eBook featuring 20 of our favourite molasses cookie recipes. 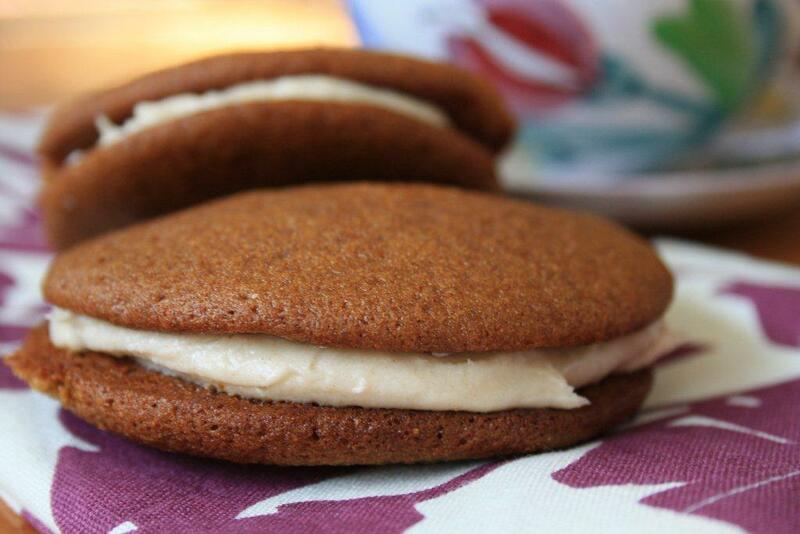 20 of our favourite molasses cookie recipes in one spot. Do you have a handwritten cookbook, or a recipe box with all of your favourite recipes in it? I have lots of recipes in cookbooks that I use time and time again, but most of my favourite recipes are either stuffed into a recipe box or written out in my handwritten cookbook. These are the recipes that have become touchstones for happy memories of times spent in the kitchen and around the table. 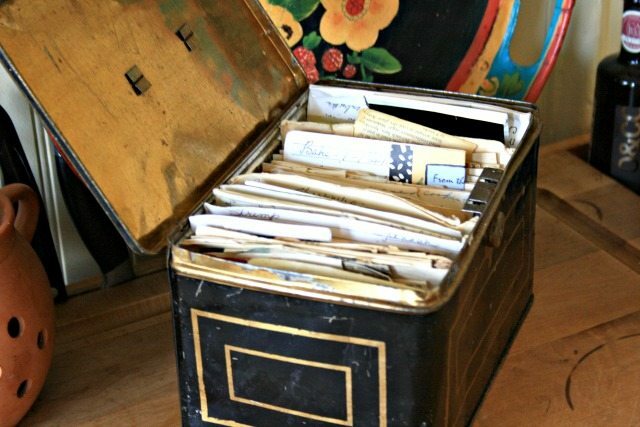 A recipe box is like a memory box. My mom has an old recipe box stuffed with recipes that span my entire life, recipes from friends, from my grandmother, and delicious discoveries that were deemed “keepers” so made their way into the box. When I flip through it with mom, memories come back in the same way they would if we were flipping through a family photo album. Recipes can tell family stories. My friend Dan wrote the most beautiful tribute to his mom for Saltscapes Magazine a few years back.  It’s about how family recipes, and the stories and traditions that go with them, bring families together, both around the table and through the connectedness that comes with shared experiences. While handwritten recipes are still my favourite, I appreciate the practicality of having little collections of good, everyday recipes. That’s what I love about the eBooks that we share, and in particular our updated Cookie eBook. 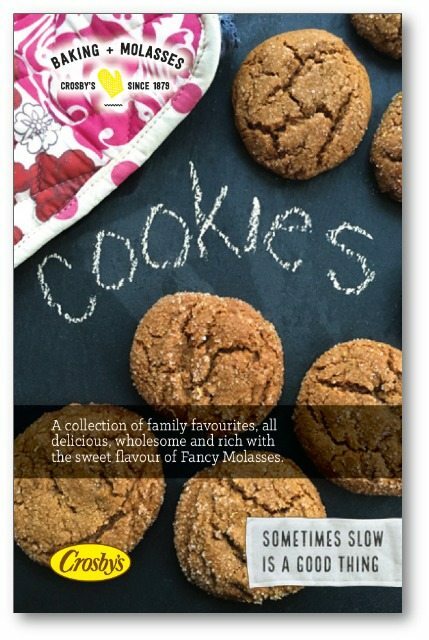 In it I have gathered my 20 favourite molasses cookie recipes. 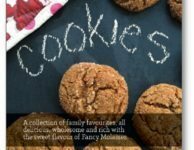 About half of them are family favourites — recipes that I have enjoyed for years or that were sent to me by readers of this blog. The other half are the “delicious discoveries” that became instant favourites. Let me know if any of them make their way into your handwritten cookbook. Hi Sandra, The link to the eBook is in the blog post. After I received your message I added two more links to the book so it’s easier to find. Enjoy. I would like to make the Carrot Cake Cookies, but the directions in the ebook are the directions for the No-Fuss Crispy Cranberry Almond Granola Bars. Any chance this can be fixed? Prep. Preheat oven to 350°F and line cookie sheets with parchment paper. Combine. In a large bowl cream the butter with the sugars and salt. Beat in the egg then the molasses. Whisk. In another bowl whisk the flour, flax, baking soda, baking powder and cinnamon. Stir. Add flour mixture to creamed mixture and stir until just combined. Stir in the oats, coconut and carrots. Chill. Combine well and chill for 30 minutes. Bake. Scoop dough by the tablespoonful onto baking sheet. Place about 1 ½ inches apart. Bake for 12-15 minutes. Would love to have your recipe book, is it possible to mail it to me. Please let me know. My computer is outdated, I can no longer download. Hi Danielle, we will gladly send you one in the mail. Please forward your mailing address to Kelsey.reid@crosbys.com. Thank you. Is it still possible to receive a copy of your cook book? My mother would make a mixture on a cookie sheet, cut into 2″ by 2″ that was about one inch high, when they came out of the oven they were at least 2 or 3 inches high, I can still taste them..
Dear Herb, The Cookie cookbook is an eBook only but we do have a printed cookbook. I’ll touch base via email regarding getting a copy to you. Hi Sherry, What wonderful memories and so beautifully written — I can picture it all. Thank you so much for taking the time to share.